Betty Johnson, heath care crusader. The longer Oregon and the country labor to carry out Obamacare, the more I wish that Betty Johnson and her compatriots had prevailed. Mrs. Johnson, who lives in Corvallis, has just been honored by Benton County with a public health service award, an honor she richly deserves for her lifelong work in helping older people. But she also has good ideas on reforming health care for all. The award, bestowed annually by the county health department, recognizes someone “whose work has embodied the spirit of compassion, dedication, achievement and commitment to improving public health.” Mrs. Johnson certainly qualifies. She began as director for the Area on Aging for Linn and Benton Social Services in 1972. Then she founded and continues to be involved with the Oregon Health Action Campaign Advocacy Group, coordinating more than 200 volunteers to visit old people in their homes, taking them grocery shopping, driving them to medical appointments and even arranging to build wheel chair ramps for them. 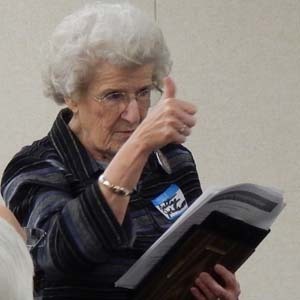 She also worked on programs such as Benton Hospice Services, Dial-A-Bus, the Senior Meal Program and Volunteer Interfaith Caregivers, and she helped organize a group to work on a campaign called Medishare. All this I got from the county’s announcement of her award. I had known over the years only as an advocate of establishing “health care for all,” a state and national health care program that covers everybody. She would come to the newspaper office where I worked and, with logic and compelling facts, pitch her ideas for a system that would meet people’s medical needs with the least possible fuss. How to order generic Viagra online at http://www.trendingdownward.com/generic-viagra-ed/ cheap prices. What’s the matter with you Hasso!? You now want us to have the same kind of healthcare Cuba has? Or Russia’s example? Or like China? The government has launched this debacle we affectionately call obamacare KNOWING that it would fail… KNOWING that it would kill people (and it has)… KNOWING that prices would skyrocket… they’ve planned this so that it would fail… enabling them to completely take over healthcare and install a singlepayer plan (government plan – let’s call it what it is…)… They’ve planned it this way and now you think we should trust them with government healthcare!? HASSO, YOU ARE ADVOCATING THE HEALTH CARE PLAN THAT WAS THE HOPE OF THE PROGRESSIVES DURING THE DEBATE. IN FACT MANY WHO SUPPORTED THE PRESIDENT DURING THE ’08 ELECTION WERE VERY DISAPPOINTED THAT SINGLE PAYER WAS TAKEN OFF THE TABLE EARLY ON IN THE NEGOTIATIONS…AND NOT BECAUSE THE ADMINISTRATION DIDN’T WANT IT KEPT ON THE TABLE. THE PRESIDENT RISKED MOST OF HIS POLITICAL CAPITAL ADVANCING HEALTH CARE REFORM AS WAS HIS CAMPAIGN PROMISE. THERE WAS NO DOUBT THAT THE SYSTEM WAS BROKEN. THERE WERE FORTY FIVE MILLION LEFT OUT OF THE SYSTEM AND RECEIVING MARGINAL CARE. INSURANCE WERE RATES GOING UP 10% +FOR THOSE IN THE SYSTEM. THOSE WITH INSURANCE WERE PAYING THE WAY IN PREMIUMS FOR THOSE WITHOUT. WHAT WE HAVE NOW IS THE COMPROMISE THAT WAS REACHED BETWEEN THE INSURANCE COMPANIES, THE MEDICAL COMMUNITY, AND THE REPUBLICANS. COMPROMISES NEVER GIVE ALL PARTIES ALL THEY WANT. THE REPUBLICANS NEVER HAD A PLAN FOR REFORM. ALL WE EVER HEARD AS A SOLUTION FROM THE RIGHT WAS TO ALLOW INSURANCE COMPANIES TO MARKET ACROSS STATE LINES TO INCREASE COMPETETION. LO AND BEHOLD, THAT IS WHAT HAPPENED THIS LAST YEAR WHEN THE INSURANCE EXCHANGES OPENED. THE SELECTION OF COMPANIES AND PLANS AVAILABLE TO ME…AND I PAY THE FULL BORE PREMIUM MYSELF…INCREASED TWO OR THREE FOLD. THE 53 YEAR OLD CLERK AT CIRCLE K IN ALBANY NOW HAS HEALTH INSURANCE FOR THE FIRST TIME AS WELL AS MILLIONS OF OTHER AMERICANS…SUBSIDIZED BY THE GOVERNMENT. AND, NO THE SKY HAS NOT FALLEN! THE AUTHOR OF ANOTHER COMMENT ON THIS SUBJECT CONVENIENTLY LEFT OUT EXAMPLES OF THE MANY OTHER COUNTRIES WITH SINGLE PAYER SYSTEMS…CANADA, GREAT BRITAIN, FRANCE, AND ALL SCANDANAVIAN COUNTRIES. I WONDER IF THAT WAS BECAUSE THAT WOULDN’T HAVE HAD THE IMPACT OF MENTIONING RUSSIA, CHINA, AND CUBA IN MAKING HIS CASE.